Lens Description: The SEL-1018 super wide-angle zoom lens is perfect for taking photos of sweeping landscapes and producing striking images with emphasized perspective. 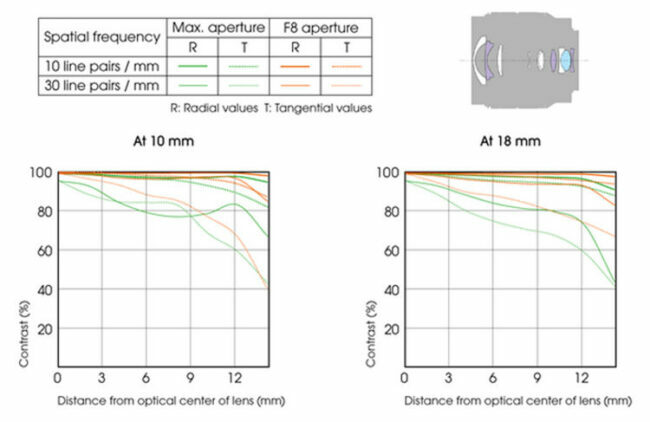 If you're seeking a wider minimum focal length than offered by standard wide-angle zoom lenses, the SEL-1018 is the ideal choice for you. Featuring a minimum focal length of only 10mm (15mm in 35mm camera equivalency), the SEL-1018 wide-angle zoom lens delivers highly-detailed, super wide-angle photos. With a constant maximum aperture of f/4 through the entire focal length range, you'll be able to use the widest aperture at every focal length. Even in low light, you can take advantage of the bright aperture to utilize fast shutter speeds without needing to increase ISO sensitivity. This lens is tack sharp and the equal of my Sony Zeiss 16 – 35mm. Vignetting is noticeable on my A7Rii, but easy to compensate for. 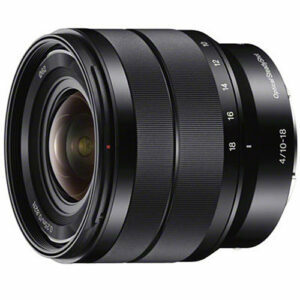 Will be trying it on the Sony 6500 I just purchased.